Oracle’s new accelerator for mature start-ups and scale-ups attracted more than 4000 applicants, with only 40 selected. 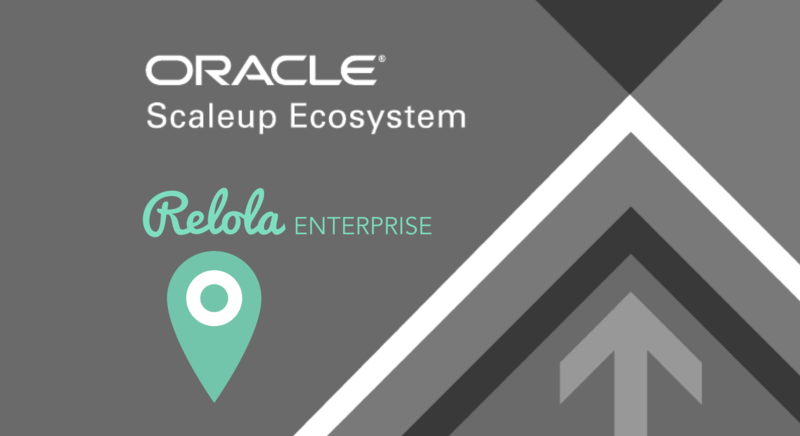 One of the many reasons our team is thrilled about the news is Oracle invited and selected Relola because of the broad applicability of our technology to serve so many of their 430,000+ enterprise customers. Our geography-relevant organic broadcasting platform is allowing organizations to harness the support of their followers in ways never before possible. Oracle’s global scale-up mission is to provide enriching, collaborative partnerships to enable next-generation growth, business development, and drive cloud-based innovation for technology companies throughout all stages of their journey—from start-ups to scale-ups and beyond. Designed for mature start-ups, Oracle Scaleup Ecosystem is a nonresidential, virtual-style program, venture capital and private equity portfolio companies to enable hypergrowth and scale. Selected start-ups will have access to Oracle’s vast global resources including access to global enterprise customers and markets. We’re looking forward to putting the power of owning your social content into the hands of enterprise customers around the world.